“Downton Abbey” is back! The cast is reuniting to film a movie this fall, and they’re going to allow a couple lucky fans to visit the London set. They just need to visit the Downton Abbey exhibition in New York City. Downton Abbey: The Exhibition is running the contest along with Viking, a cruise company. Fans who attend the exhibit in Manhattan, located at 218 W 57th Street (between Broadway and 7th Avenue), can post a picture of themselves at the exhibit to social media to enter. Entrants just have to use the hashtag #DowntonVikingSweepstakes on Instagram and Twitter. They can also enter on Facebook and reply to the sweepstakes post with their photo. Remember, if your accounts are private, the contest officials won’t be able to see the posts, so be sure to let your posts be public. The winner will head to London this fall with a friend (exact dates to be determined). Viking will pay for business class airfare and four nights at a four-star hotel. The best part of the trip, obviously, will be when the winner gets to visit the “Downton Abbey” movie set and see all the movie being made. See the website for full rules, terms and conditions. Those who plan to enter will have to make plans soon. Downton Abbey: The Exhibition is only open until Sept. 3, which is when the contest closes. Ticket prices start at $30 for adults and $15 for children. In addition to the costumes and props, the exhibit also recreates the kitchen as well as the upstairs and downstairs dining areas. The winning contestant will enjoy a prize trip to include two business class tickets to London, four-star hotel accommodation for four nights and a behind-the-scenes visit to the film set this fall. There’s no word on what the story the film will follow, but Michelle Dockery (Lady Mary Crawley), Hugh Bonneville (Robert Crawley, Earl of Grantham) and most of the original cast are returning. Brian Percival, who directed the pilot, will helm the film. 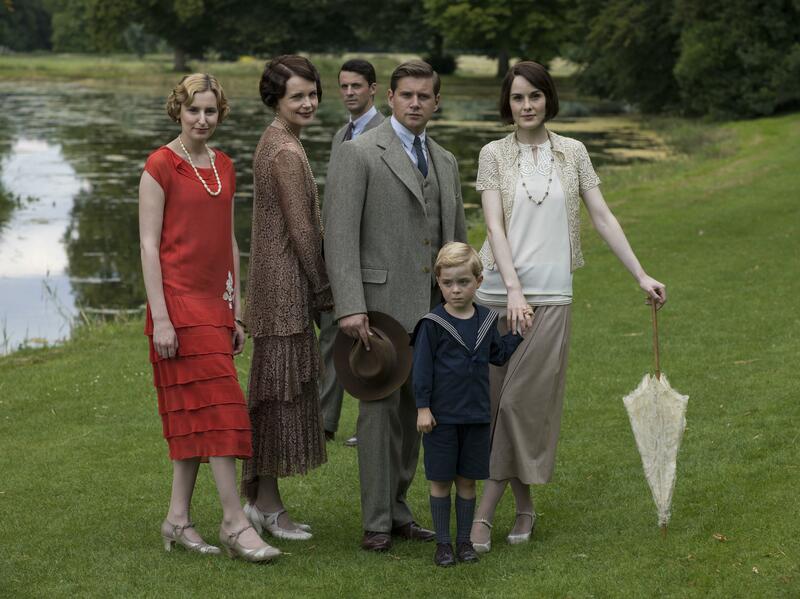 No release date for the “Downton Abbey” movie has been set yet. ‘Downton Abbey’ Movie: Where Are The Stars Now?